The town of Federalsburg said goodbye Wednesday afternoon to a local Navy paramedic who was killed in Iraq earlier this month. A viewing for Manuel Ruiz was held the Framptom Funeral Home on Main Street. A reception followed at the Federalsburg VFW. 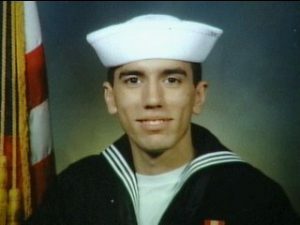 Ruiz will be buried Thursday at Arlington National Cemetery. The 21-year-old Navy Corpsman was one of seven who died February 7, 2007, when the Marine transport helicopter they were in crashed in Iraq. Maryland, died February 7, 2007, in a helicopter crash in Al Anbar Province, Iraq. The cause of the crash is under investigation. Minjares was assigned to Marine Aircraft Group 14, 2nd Marine Aircraft Wing, Cherry Point, North Carolina, and Ruiz was assigned to 2nd Medical Battalion, 2nd Marine Logistics Group, II Marine Expeditionary Force, Camp Lejeune, North Carolina. For further information in regard to this release the media can contact the Navy public affairs office at (703) 697-5342. Manuel said goodbye to his Mom, Dad, and two brothers two weeks before. Manuel’s family says he went back because he wanted to help people, and he knew he was making a difference. Which was what he had plans to continue doing after his service. His family says he wanted to work with the state police, again, as a helicopter medic. No plans have been made for the funeral service yet, but the family has said that Manuel wanted to be buried at Arlington National Cemetery, and he will be. A sailor from the Eastern Shore was one of seven people killed when a U.S. Marine transport helicopter crashed in Iraq, his mother said Thursday. Manuel Ruiz, 21, of Federalsburg, was a Navy paramedic assigned to Camp Lejeune, North Carolina. His mother, Lisa Ruiz, described him as a “very outgoing” man who loved running. He attended Colonel Richardson High School in Federalsburg, joined the Navy three years ago and was just two weeks into his second tour in Iraq, she said. 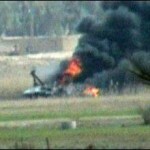 The military reported the helicopter crashed Wednesday in Al Anbar province about 20 miles northwest of Baghdad. It was the sixth American aircraft reported lost in Iraq in just over two weeks. A military statement did not give a cause for the crash, but a senior U.S. defense official in Washington said the CH-46 Sea Knight did not appear to have been hit by hostile fire. An Iraqi air force officer, however, said the chopper was downed by an anti-aircraft missile. An al-Qaida-linked Sunni group claimed in a Web statement that it was responsible. Two of the victims of Wednesday’s crash of a Marine Corps CH-46 helicopter in Iraq have been identified by the Pentagon as Navy corpsmen. Petty Officer 1st Class Gilbert Minjares Jr., 31, of El Paso, Texas, and Petty Officer 3rd Class Manuel A. Ruiz, 21, of Federalsburg, Maryland, were killed in the crash, the cause of which is still under investigation. Minjares was assigned to Marine Aircraft Group 14, 2nd Marine Aircraft Wing, Cherry Point, N.C. Ruiz was assigned to 2nd Medical Battalion, 2nd Marine Logistics Group, II Marine Expeditionary Force, Camp Lejeune, N.C.
Ruiz, 21, was on the second week of his second Iraq tour when he was among seven servicemembers killed in the crash west of Baghdad. 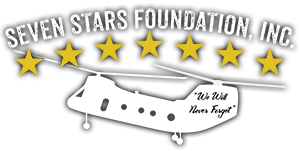 The crash was the fourth American military helicopter to go down since Jan. 20. While the other three were shot down, U.S. military officials have said enemy fire was not likely the cause of Wednesday’s crash. The five other casualties of the crash were Marines, a military official said Friday. Family members remembered Ruiz as “Little Manuel” — named after his father — and an energetic, fun young man. Ruiz was committed to his job in Iraq, they said. “He pretty much demanded to go back,” Adam Lusk, a family friend, was quoted as saying to reporters. Ruiz was assigned to the 2nd Medical Battalion, which supports the II Marine Expeditionary Force out of Camp Lejeune, N.C. The Pentagon withholds names of the dead until their families are notified; official identifications are expected in the coming days. Minjares had only been in Iraq for seven days before the crash, family members said.“He gave me all his clothes and stuff, like he knew what was going to happen,” Jose Minjares, Gilbert’s brother, told an El Paso newspaper. Minjares is survived by his wife, a 2-year-old son and a 4-week-old newborn, family members said. On Thursday, the commandant of the Marine Corps said the recent helicopter incidents represented an “intensity of effort” by insurgents. General James Conway also said that Marine officials did not believe the CH-46 was shot down this week. A Sunni insurgent group has claimed it shot down the helicopter, and news reports cited witnesses as saying they saw it shot down. Conway, in comments made to a group of government executives at a Washington hotel, also said the Marines are worried about newer versions of anti-aircraft missiles showing up in Iraq. “More troubling is the appearance of SA-16s and SA-18s,” Conway was quoted as saying. SA-16s and SA-18s are surface-to-air missiles. An al-Qaida-linked insurgent group posted a Web video Friday showing what it said was the downing of a U.S. military helicopter earlier this week. The two-minute video — which says it shows the “downing of U.S. aircraft on February 7” — shows a helicopter that appears to be a Sea Knight flying. An object trailing smoke is seen in the sky nearby, and then the craft bursts into orange and red flames, with a spray of debris emerging from it. It is not clear whether the object is a rocket, and it cannot be clearly seen connecting with the craft. The video was issued by the Islamic State in Iraq, an umbrella group of Iraqi insurgent groups that includes al-Qaida in Iraq. The group on Wednesday issued a written claim of responsibility for the craft’s downing and had promised a video would follow.